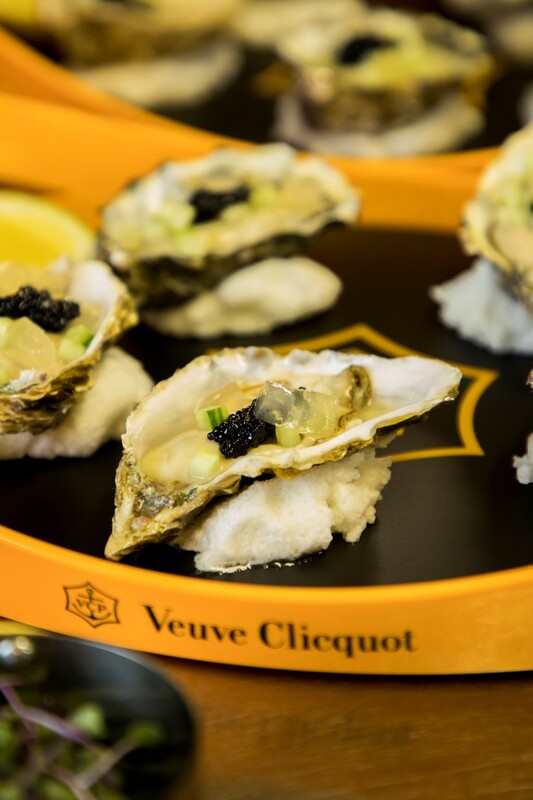 You either like oysters or you don’t. 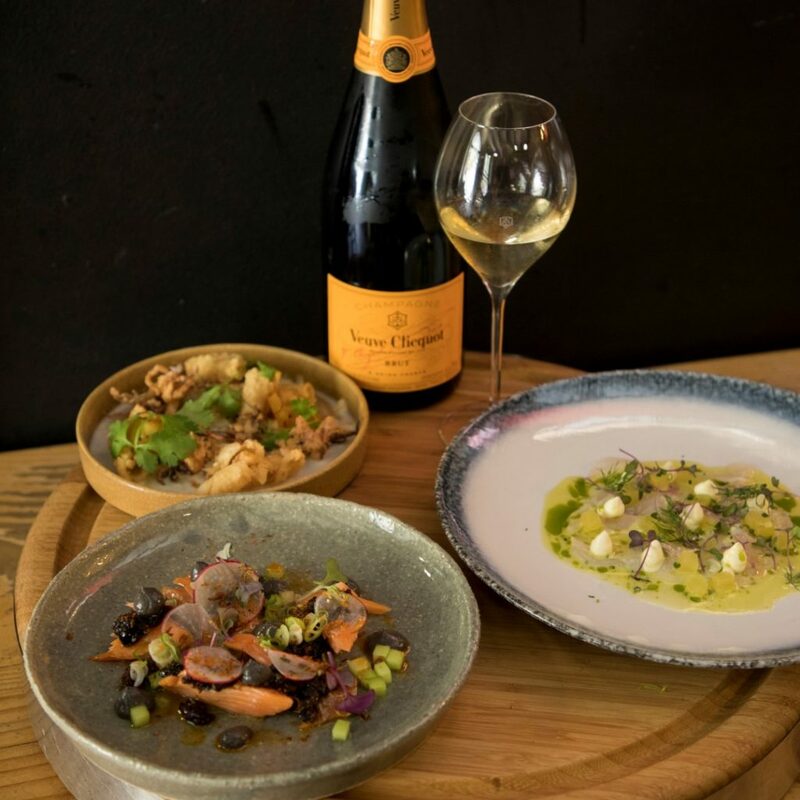 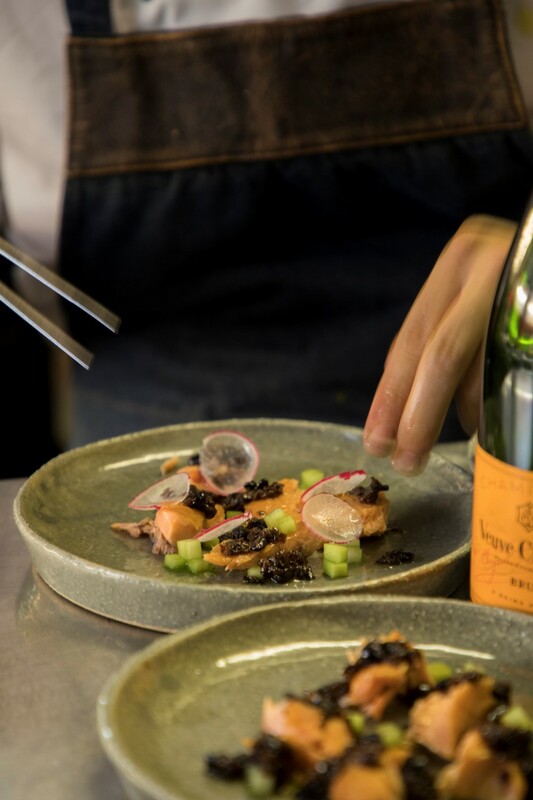 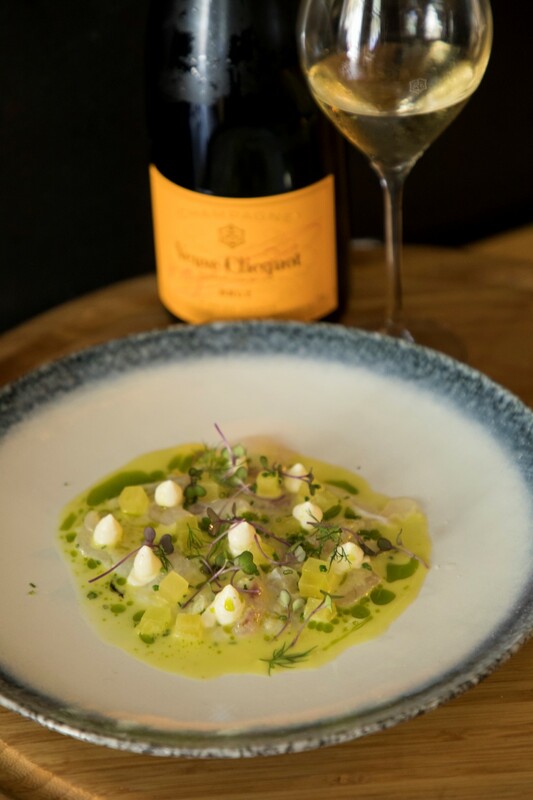 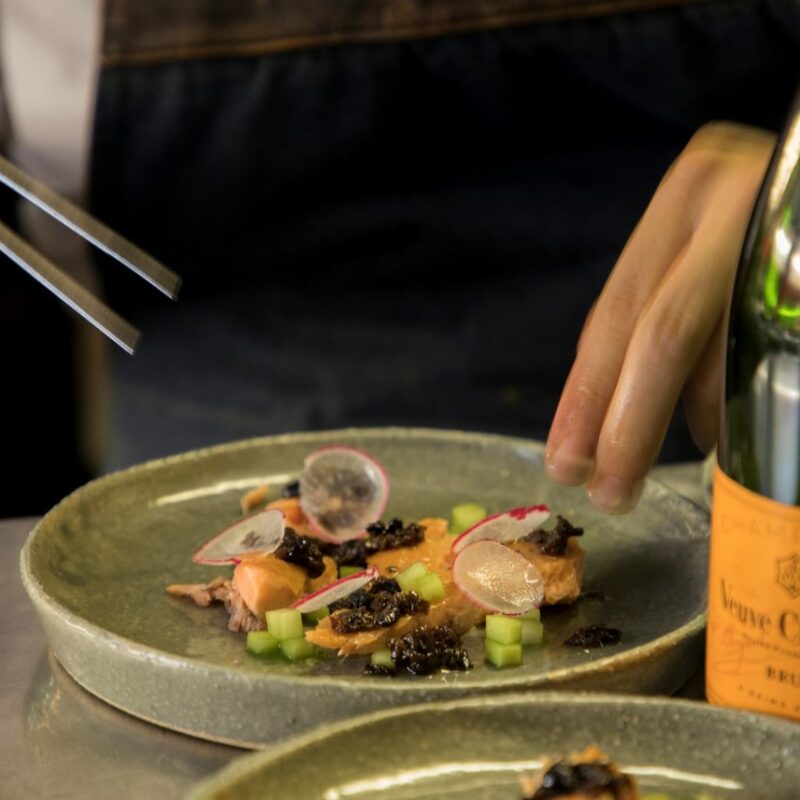 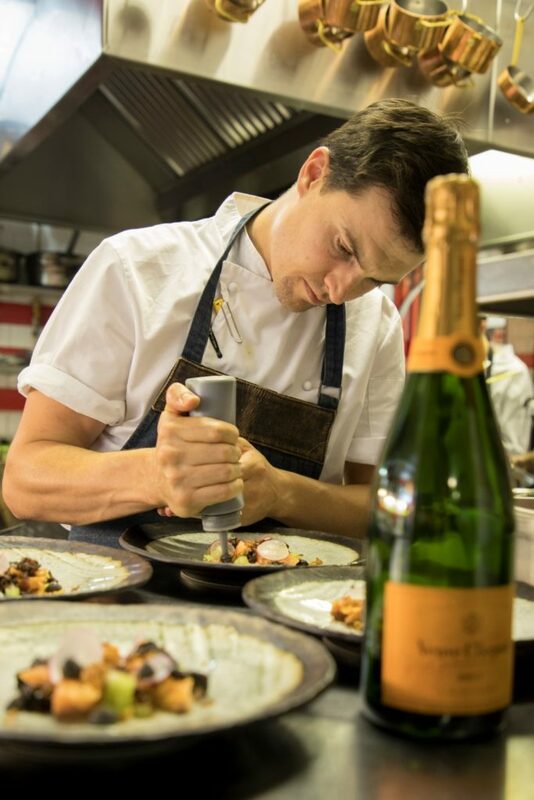 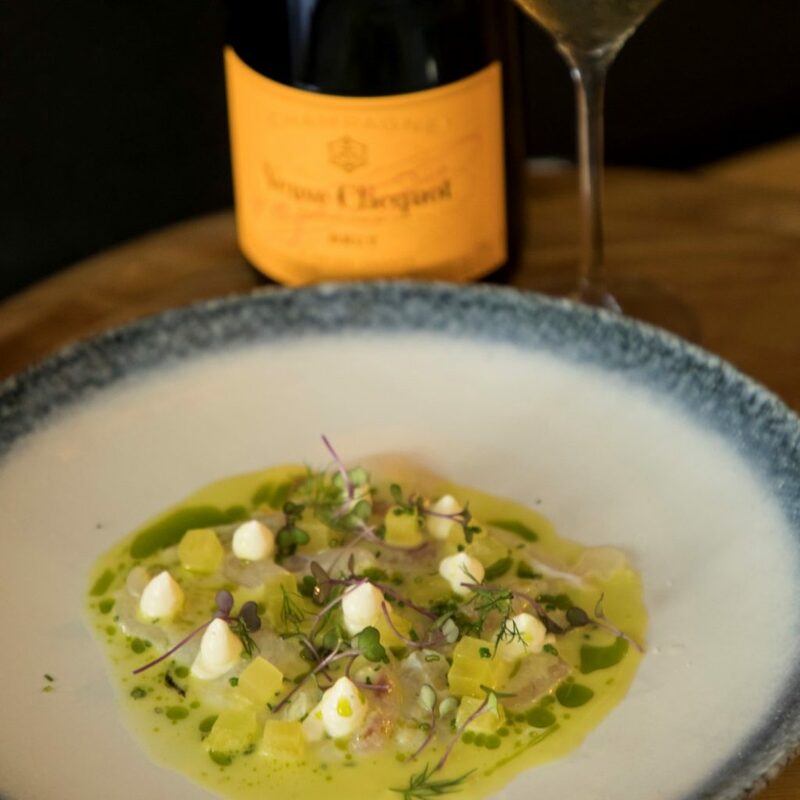 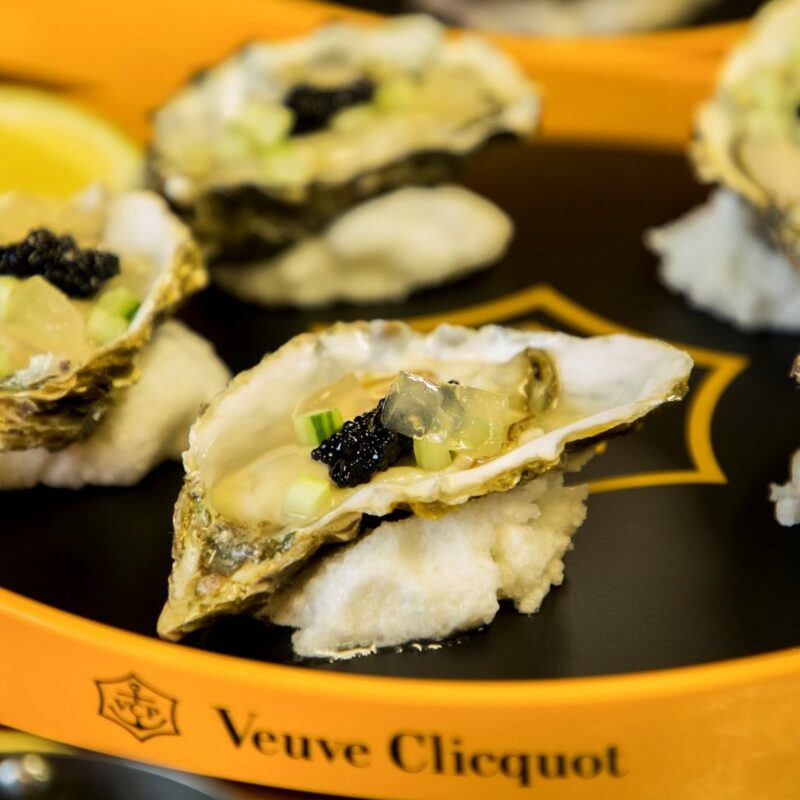 A bit like olives, tripe and whisky, oysters are a taste and texture that takes acquiring unless they’re prepared at the hands of Chef’s Warehouse Executive Chef Graham Oldfield with lashings of Veuve Clicquot volute, Veuve Clicquot jellies, cucumber and caviar. 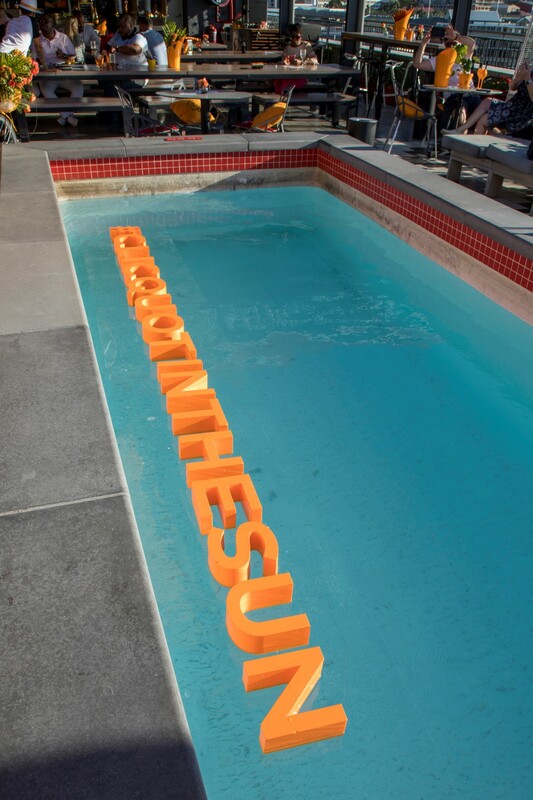 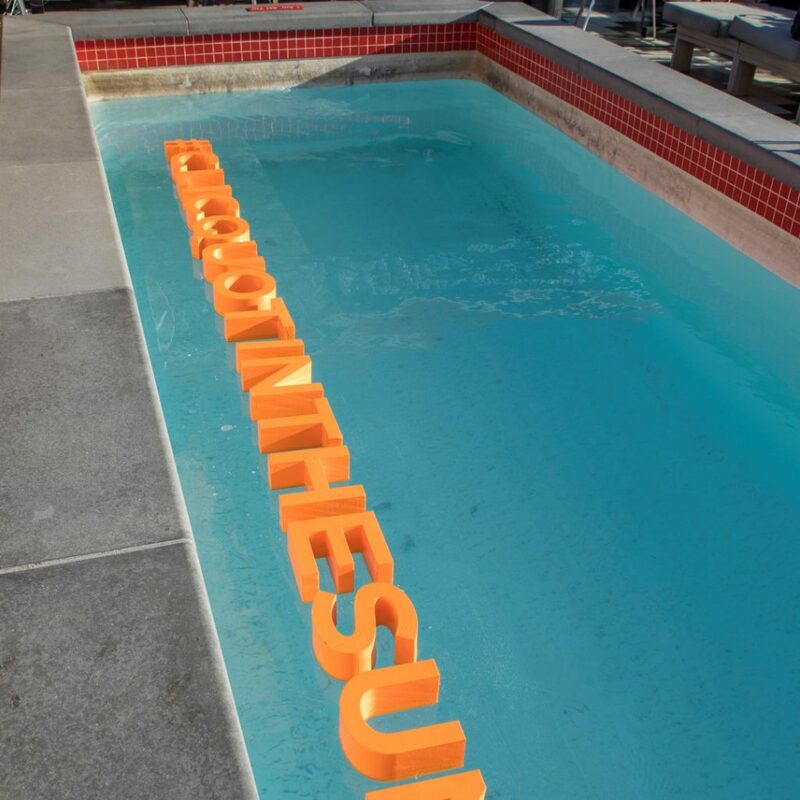 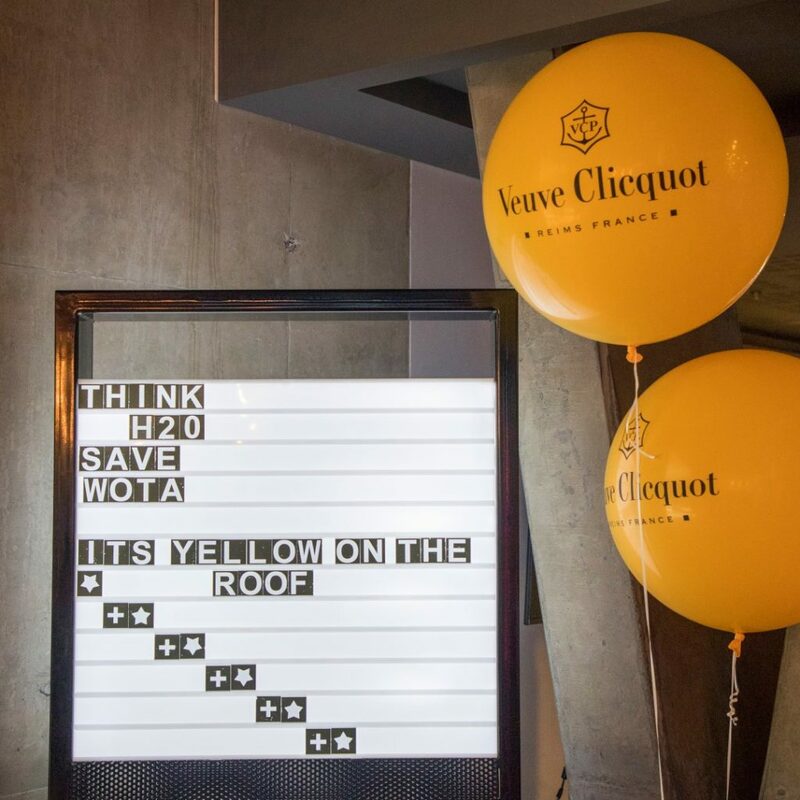 Why Veuve Clicquot you ask? 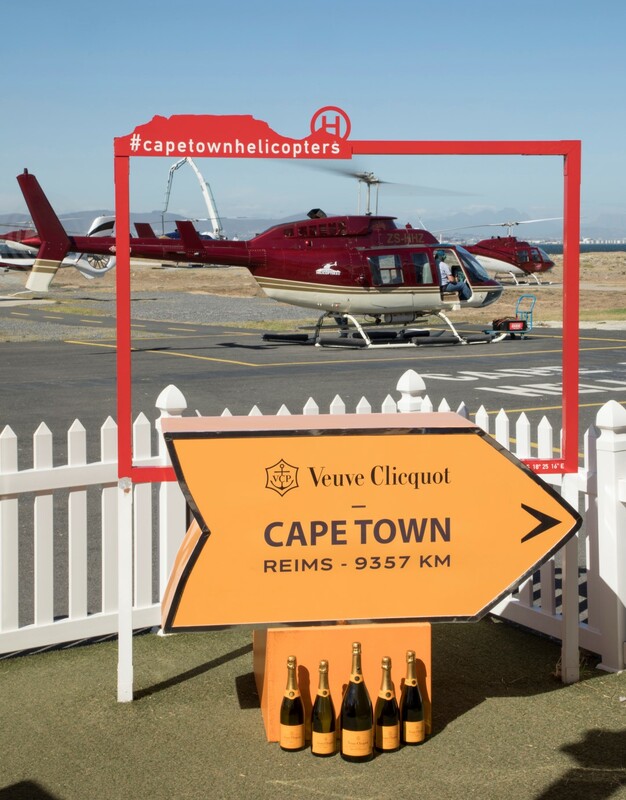 Well, the maison in Epernay, Reims in France stands for all things fine, including food, art, culture and a zest for life, exactly what Cape Town has come to represent in recent years with strings of accolades from the likes of Condé Nast, The Telegraph and the Luxury Travel guide consistently putting South Africa’s number one tourist destination up there with the best the world has to offer. 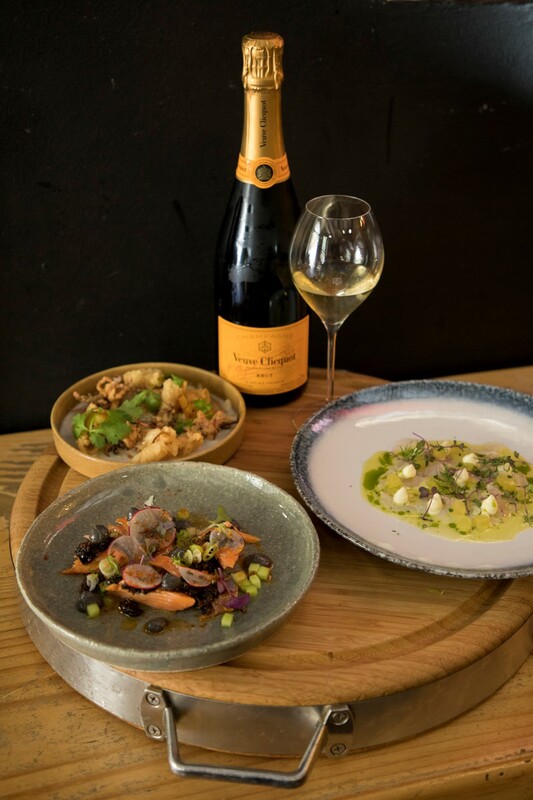 To celebrate the city’s “zeste de folie” Veuve Clicquot curated a Cape Town experience that began where Liam Tomlin opened his canteen styled Chef’s Warehouse in Bree street in 2014.The ‘Tapas for two’ menu takes you through Asia, the Middle East, India and South Africa in what is described as not so much fusion food, but a pairing of complimentary flavours and unexpected flavours that are designed to surprise and capture. 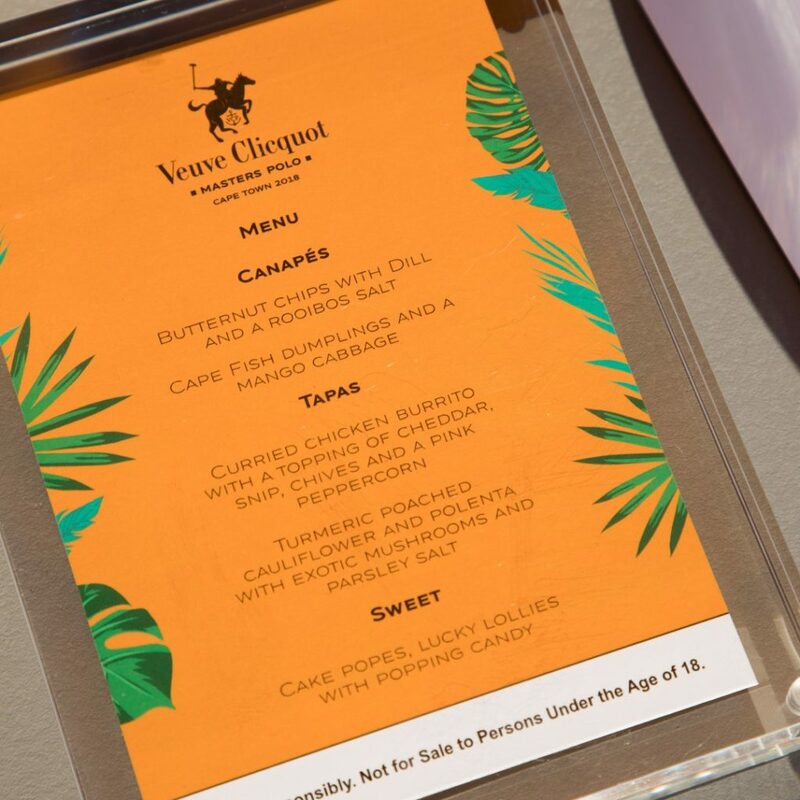 I’ll also lay a bet that you won’t leave the establishment without purchasing something unusual and innovative from the culinary world out of the Chef’s Warehouse shop. 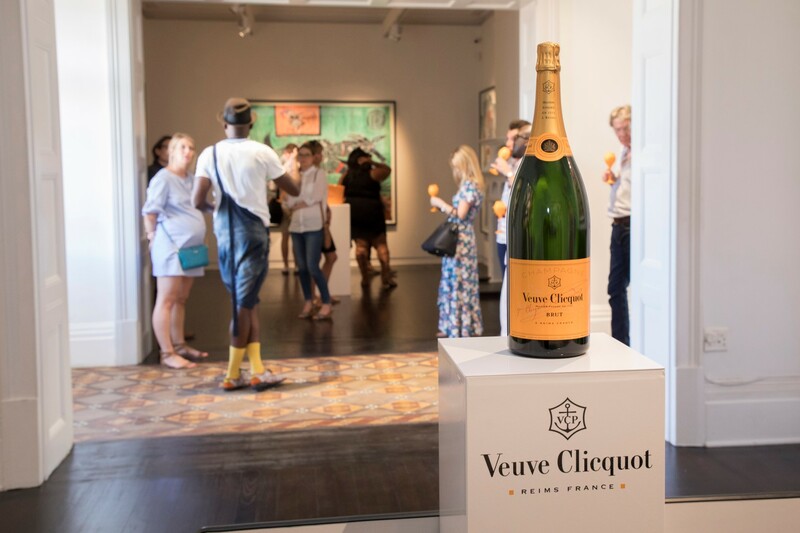 Well fed by the team at Chef’s and watered courtesy of Veuve Clicquot Yellow Label we left for the next destination in our Curated Cape Town experience which promised to represent the extensive art heritage in our country and the emerging centre of fine arts that this city is becoming. 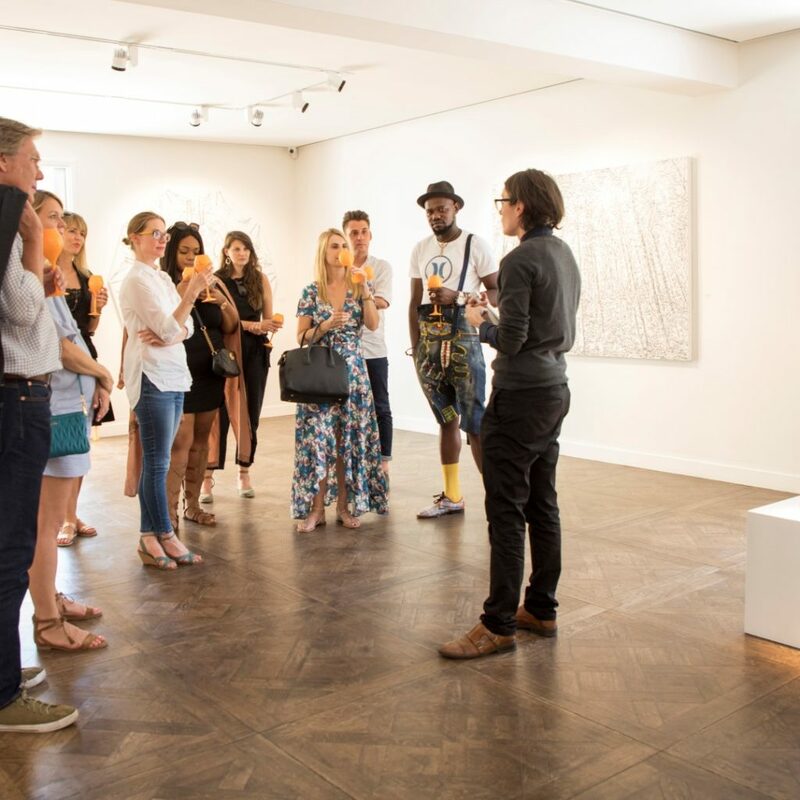 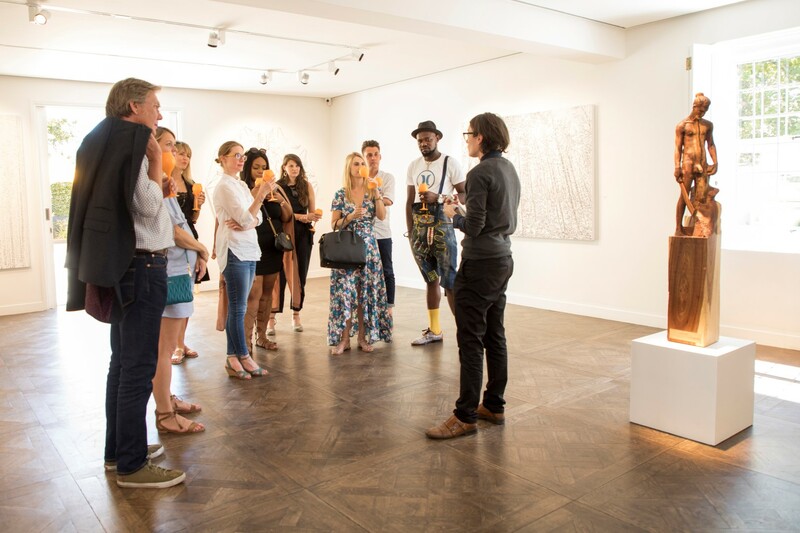 The Everard Read Gallery is the centre of art in Johannesburg and the opening of the architectural focal point that is CIRCA, extended the repertoire of South Africa’s oldest commercial gallery to contemporary installations that were fluid, dynamic and set new boundaries insofar as traditional exhibitions are concerned. 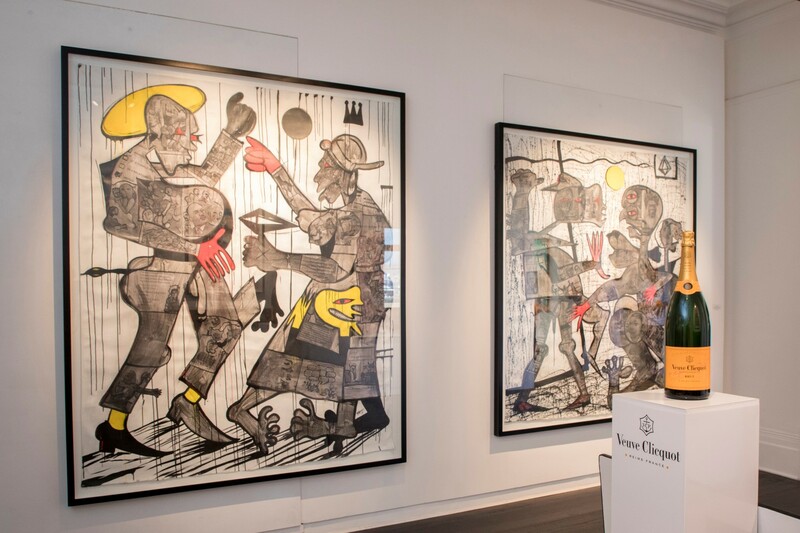 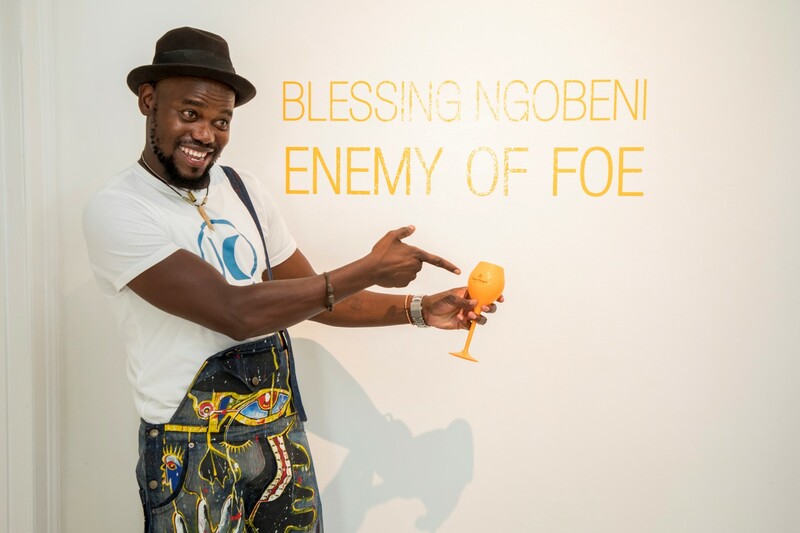 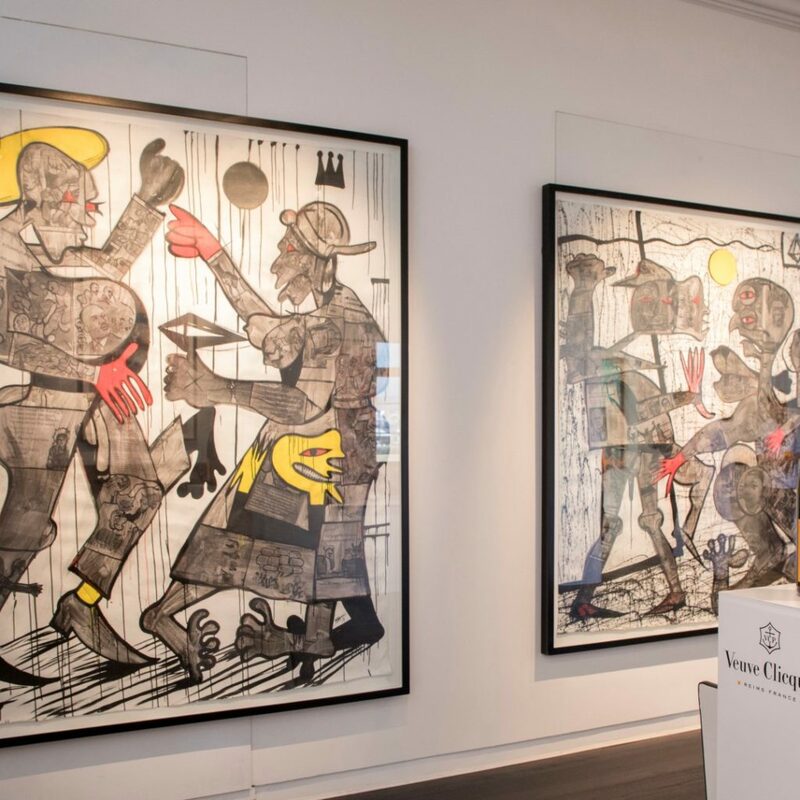 The same can be said of the Everad Read/CIRCA gallery in Cape Town and we were treated to “Enemy of Foe” by Blessing Ngobeni, an interpretation by way of painted collage works of, not only the plundering and corruption by contemporary powers that be, but the arrogance and contempt they show while they steal the life from the people they were elected to serve. 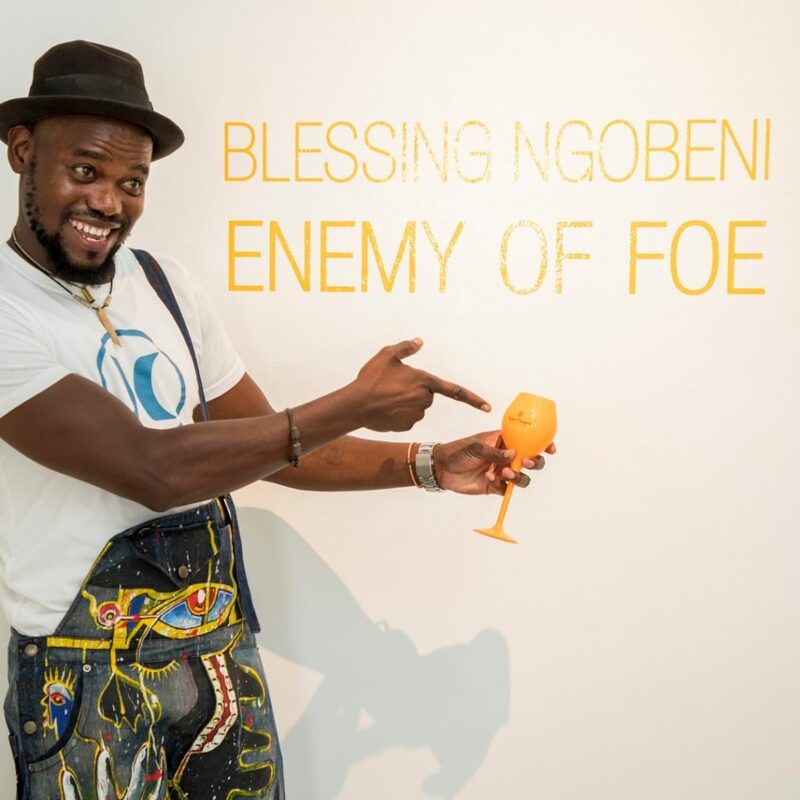 His animated presentation to us and the raw passion he shows for his craft and his country are well interpreted in his works and his demeanour – this fellow takes the Veuve Clicquot philosophy of embracing life and its challenges and articulates it beautifully in his sometimes humorous, sometimes disturbing but brutally honest interpretations of life and politics in our country. 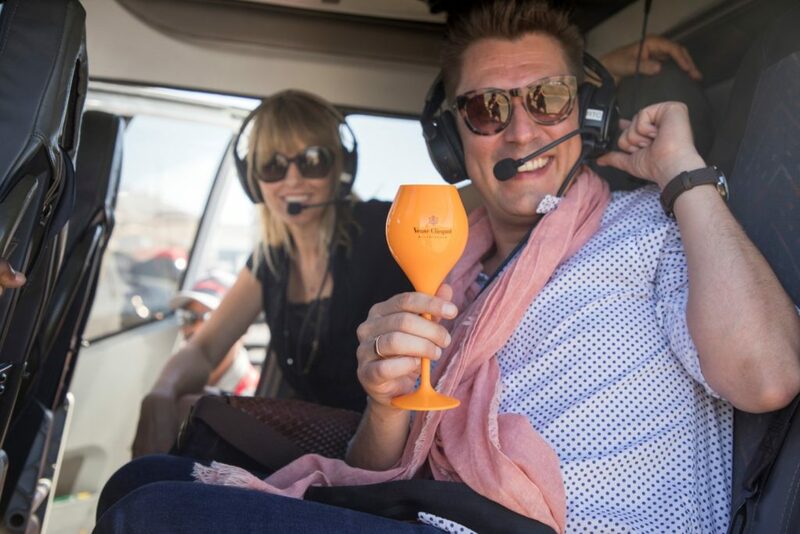 Blessing wasn’t that enthusiastic about helicopters. 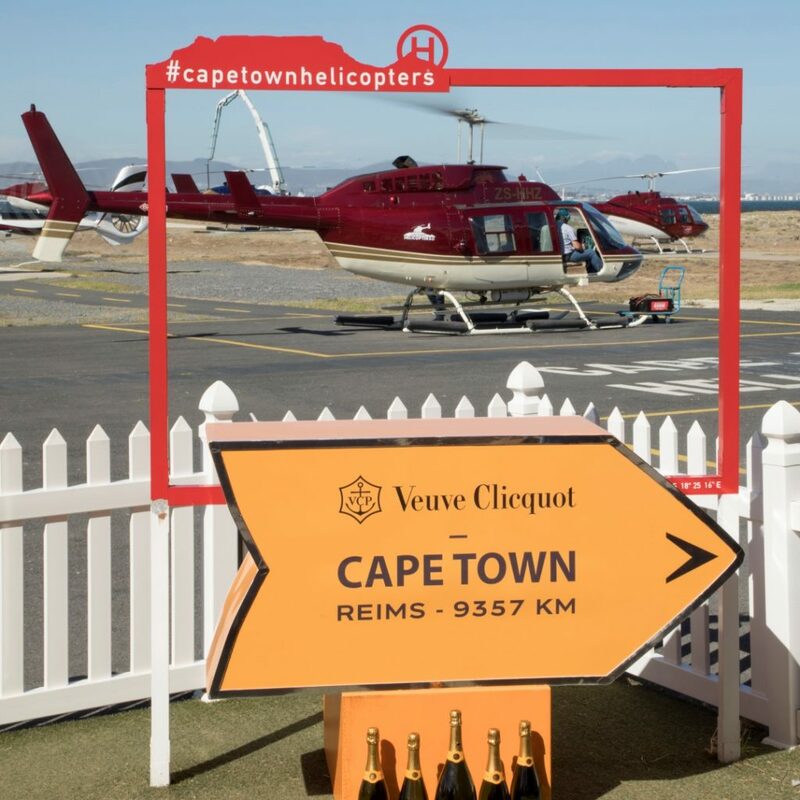 I can’t blame him, recent news reports have not done much for the helicopter tourism industry, but the guys at Cape Town Helicopters have an impeccable safety record and provide a majestic experience up the Atlantic Seaboard, through Hout Bay, Llandudno, the Twelve Apostles and Table Mountain in all its glory. 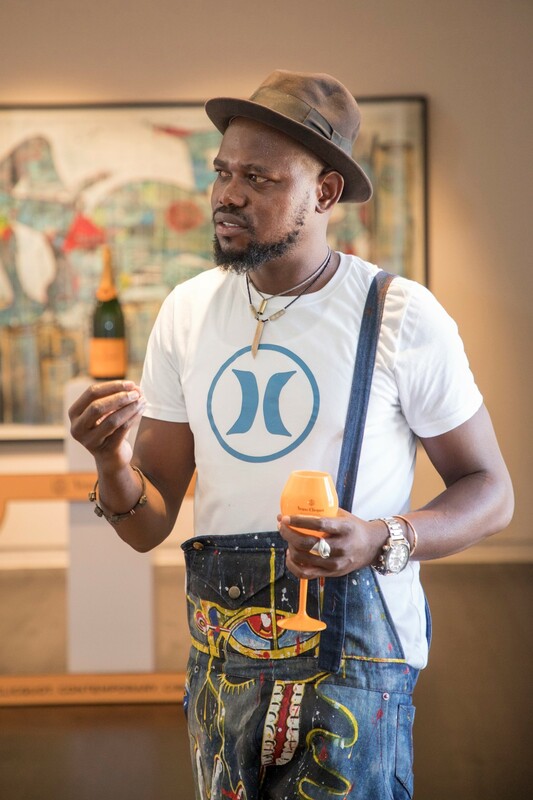 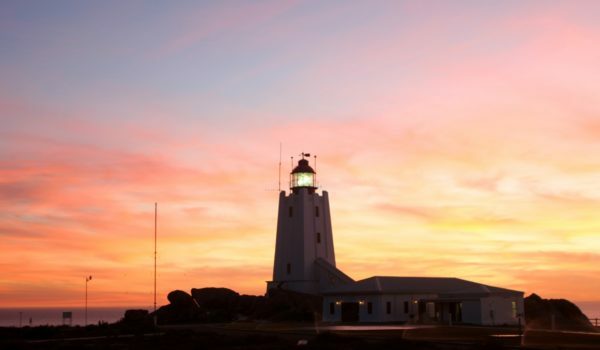 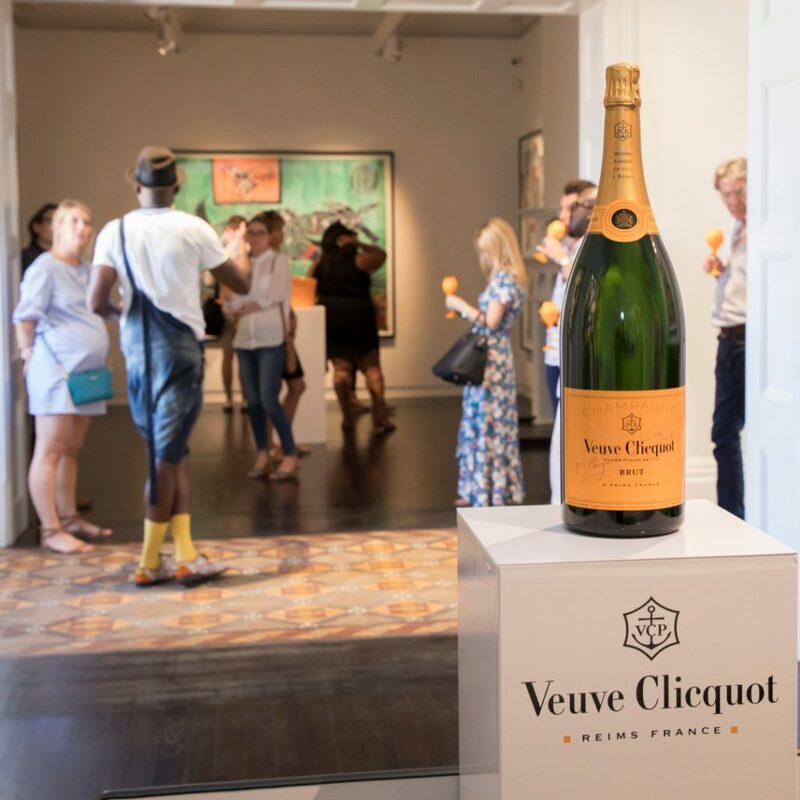 You put your faith in the guy with the stripes in his epaulette to ferry you over some of the most exquisite scenery the planet has to offer and it manifests itself, again, in a Veuve Clicquot philosophy of beauty and excellence. 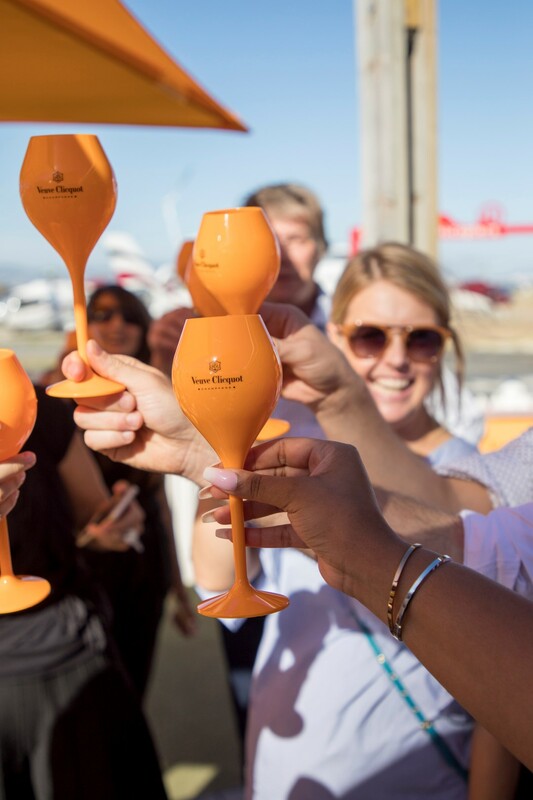 This year, Veuve Clicquot celebrates a truly remarkable milestone: the 200th anniversary of Veuve Clicquot Rosé. 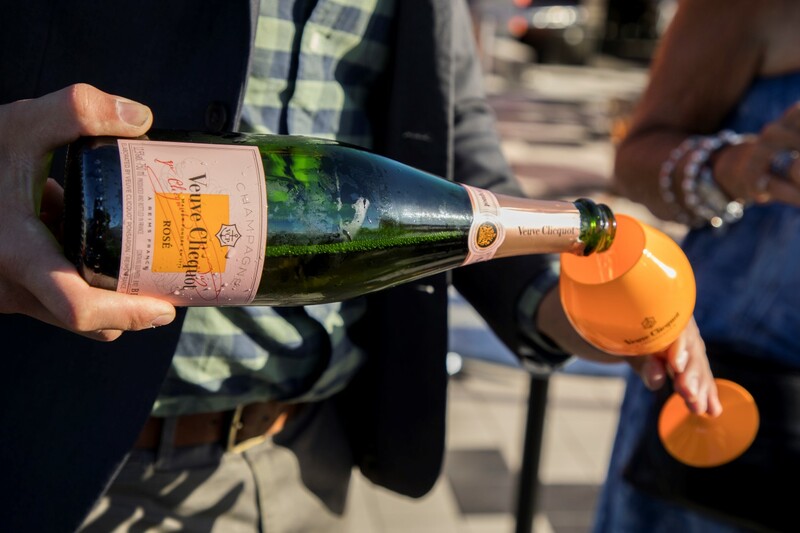 The blend was founded by Madame Clicquot nearly two centuries ago, when in her true inimitable style, she innovated and completely re-created the first blended rosé champagne of the time. 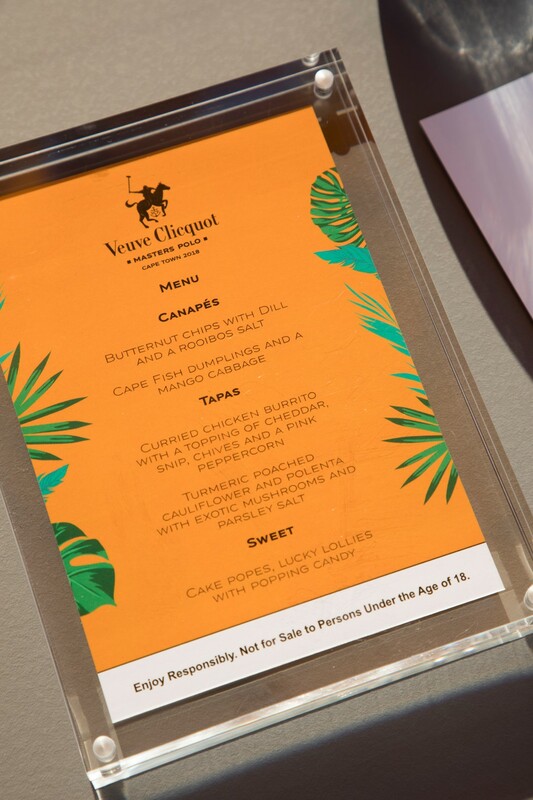 She had an audacious new vision in which colour, taste, and aroma were all vital to the quality. 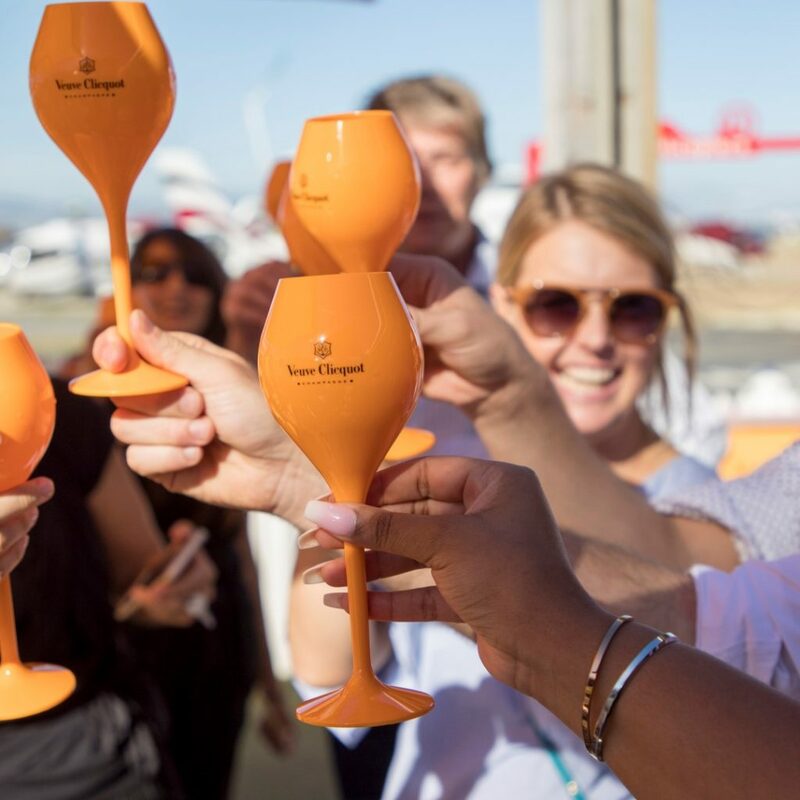 So she broke with accepted norms, and re-created the process of making rosé champagne. 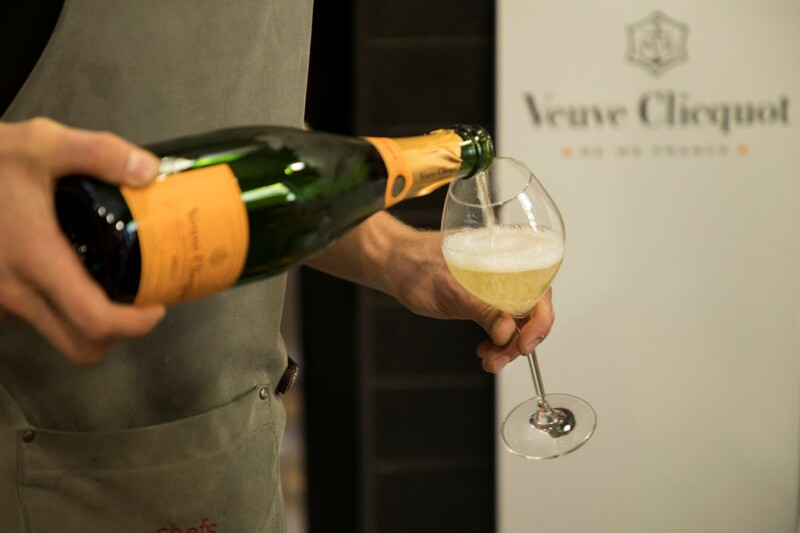 Madame Clicquot was very fond of red-wine grape parcels from the Bouzy region of Champagne, and she elaborated her own red wine from the area. 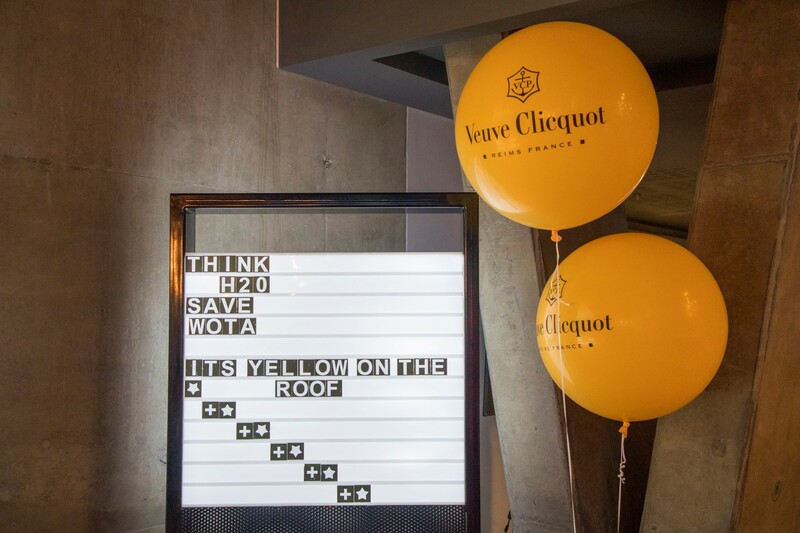 Inspiration struck, and in 1818 she decided to blend this with her still white wines. 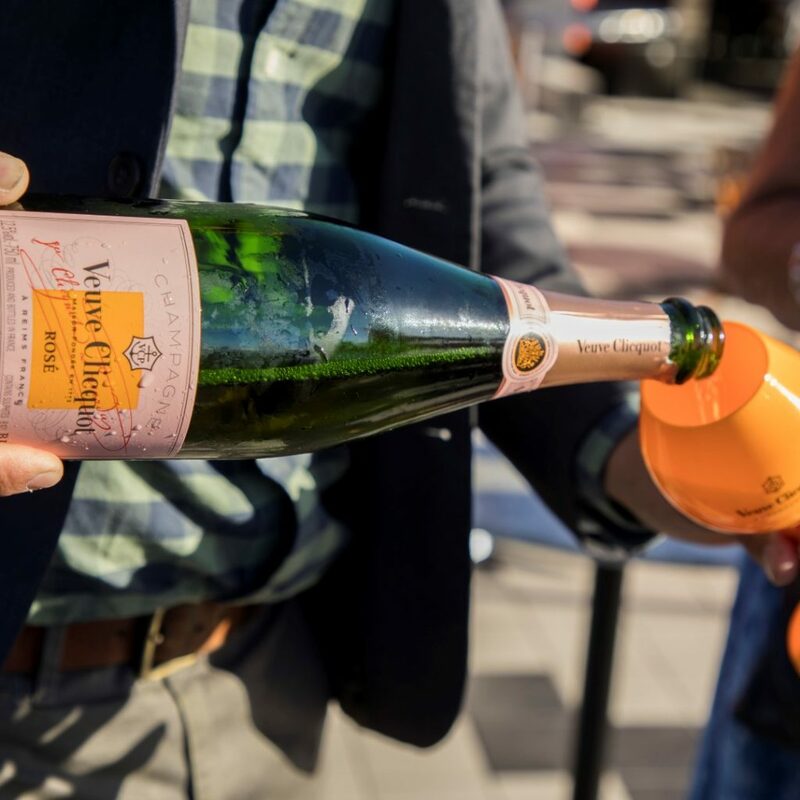 The result was a stronger rosé champagne, with definite character. 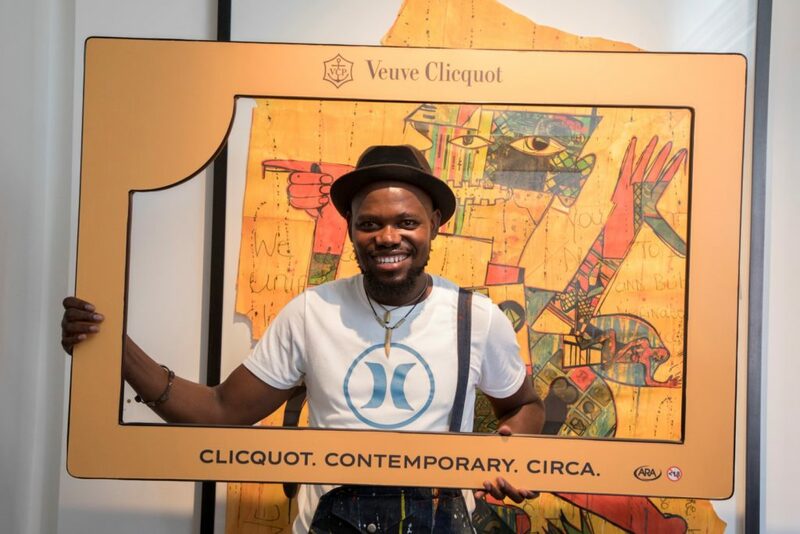 Her talent in re-creation gave us the first known blended rosé champagne: Veuve Clicquot Rosé! 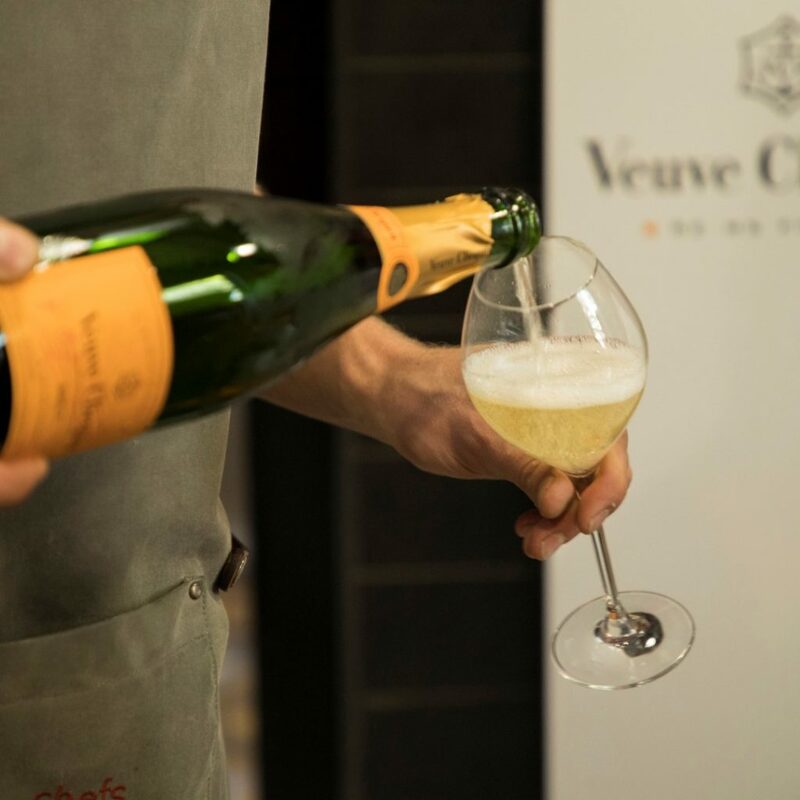 This coppery champagne, with its burst of red fruit aromas, is a vibrant centrepiece of the Veuve Clicquot champagne range. 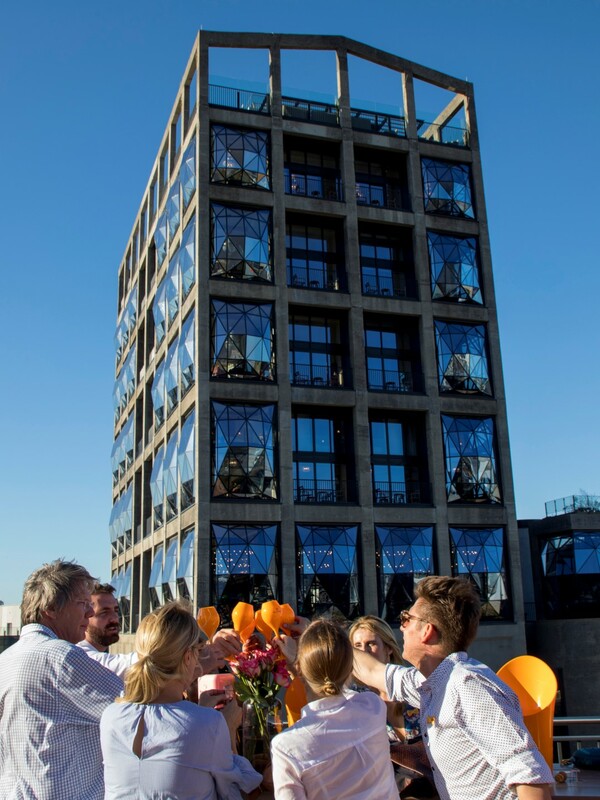 In homage to this significant anniversary, the last Curated Cape Town experience of the day had to be a rosé celebration. 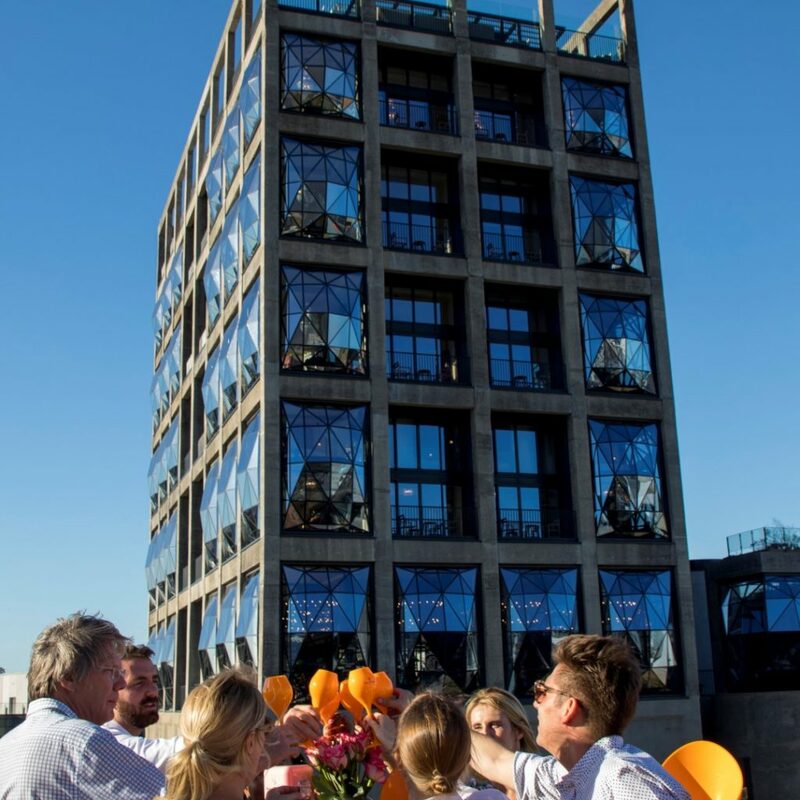 And Cape Town’s new Radisson RED Rooftop positioned in the trendy V&A Waterfront Silo District provided the perfect backdrop to mark this iconic moment. 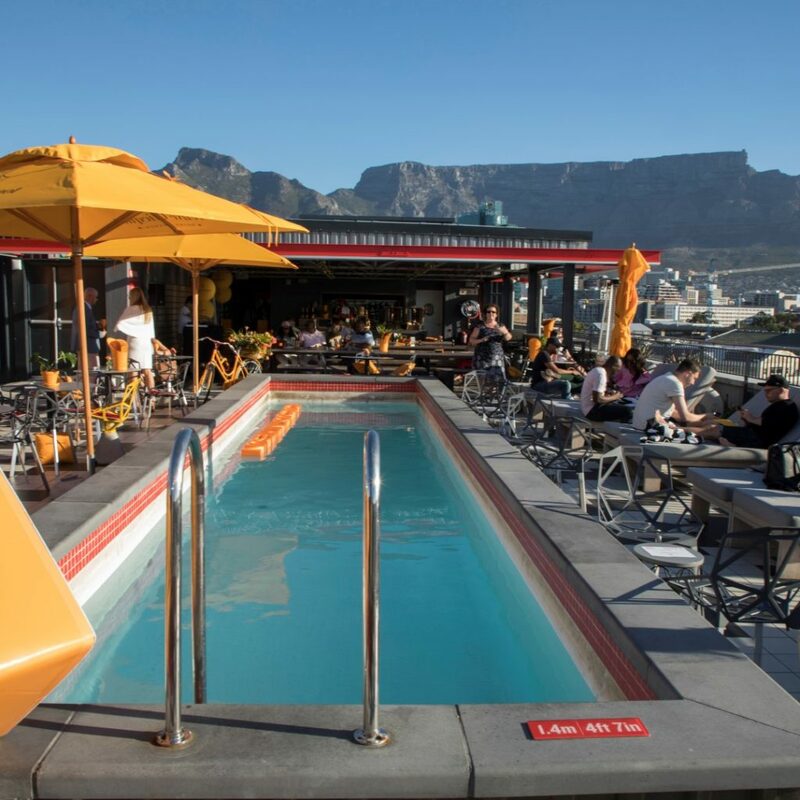 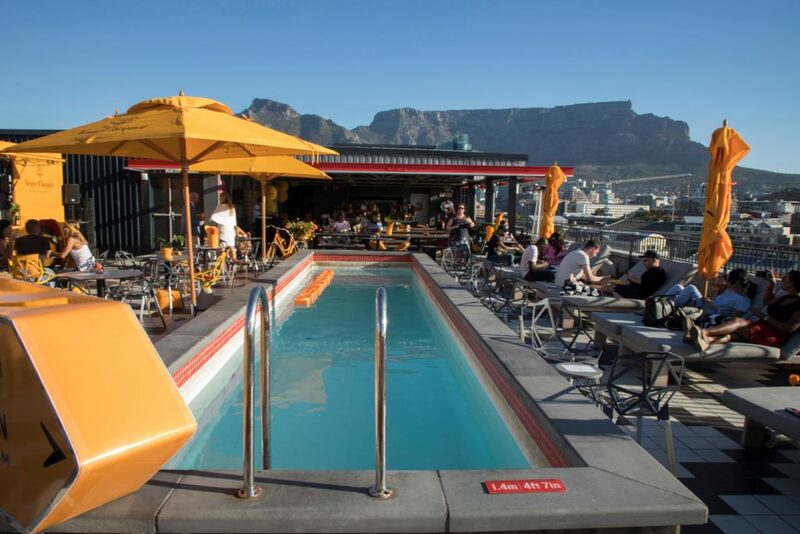 Offering exceptional views of Table Mountain and the V&A Waterfront, the RED Roof has quickly become a celebrated early to late hangout. 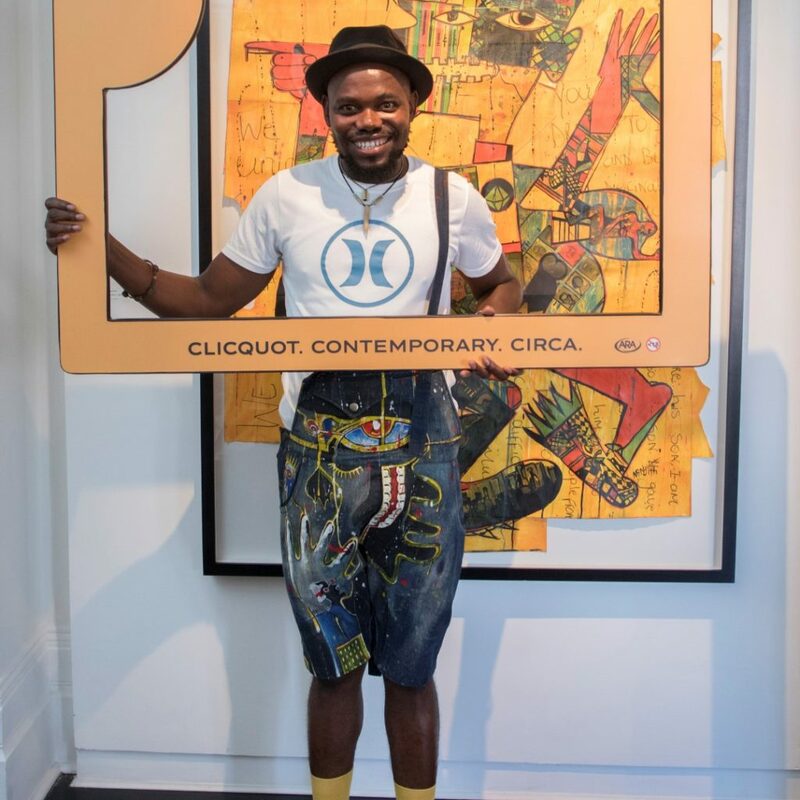 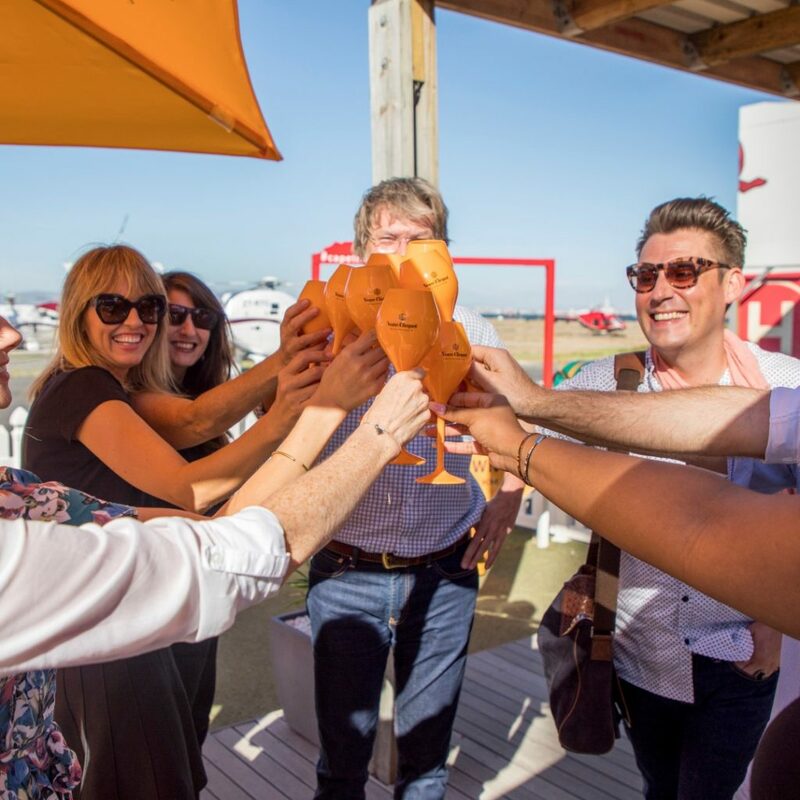 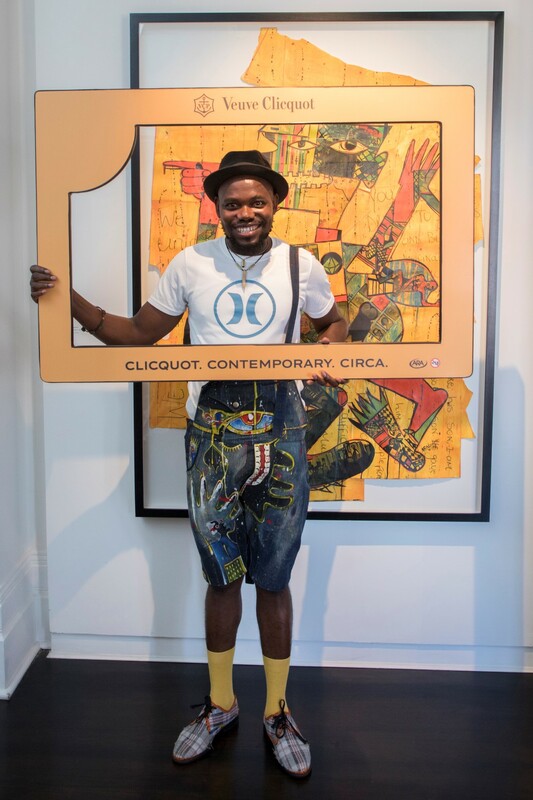 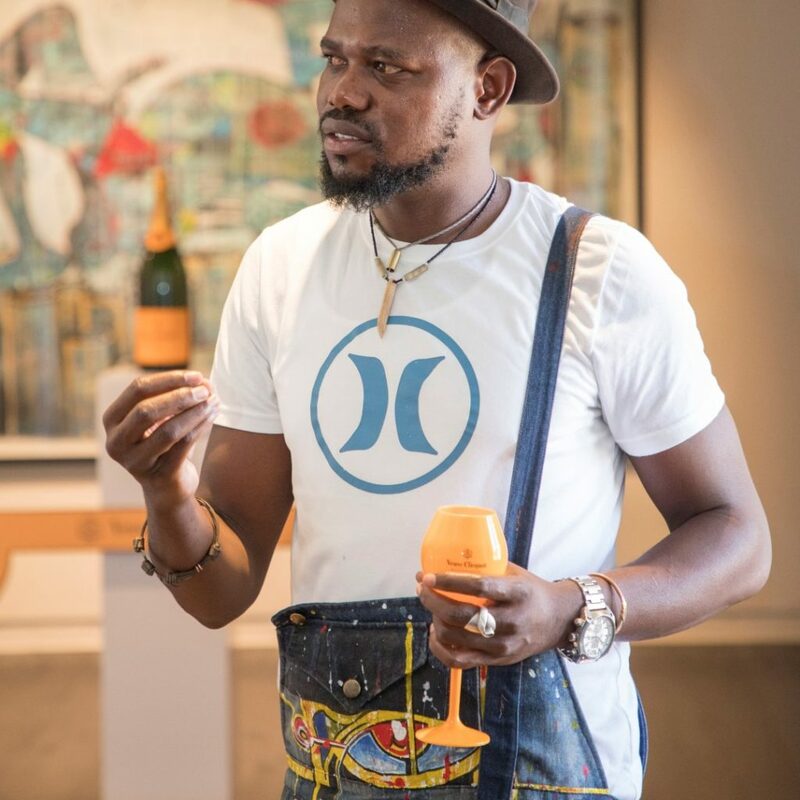 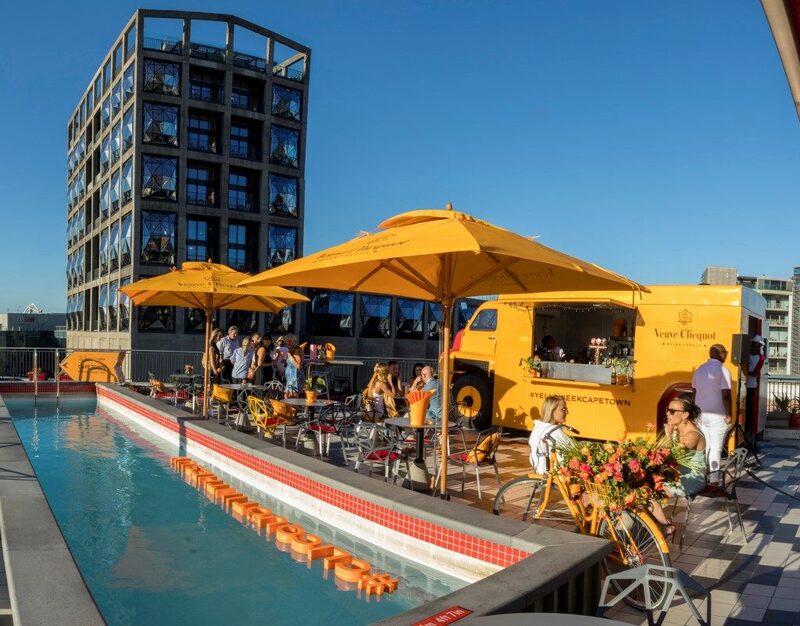 With delicious snacks courtesy of the Veuve Clicquot food truck, sipping chilled champagne as the sun set over the city proved to be the icing on the proverbial Clicquot cake. 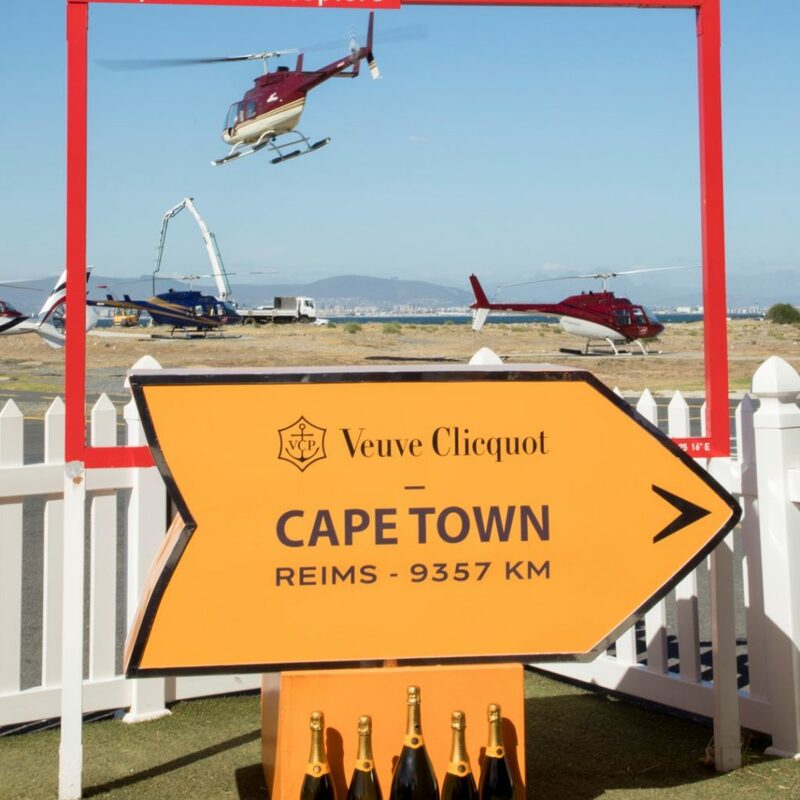 What better way to end the ultimate Cape Town journey than with the Veuve Clicquot Masters Polo Cape Town – this year attracting 2500 of the continent’s most stylish guests to the scenic Val De Vie Estate. 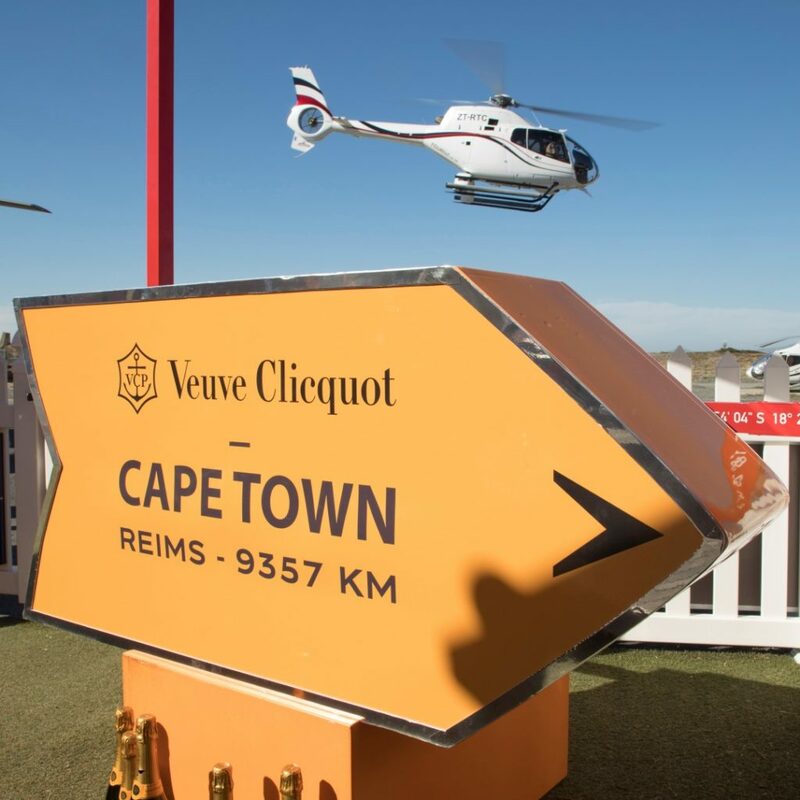 First held in 2011, the Veuve Clicquot Masters Polo features an impressive polo line-up, with teams from around the country competing for the coveted Veuve Clicquot Masters Polo Cape Town cup. 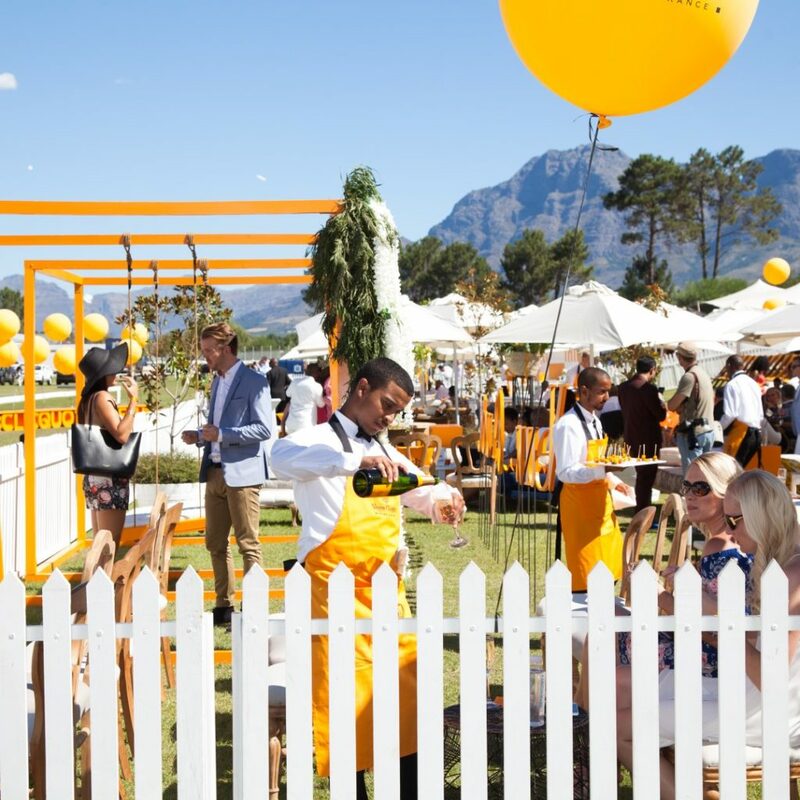 Surrounded by mountains and vineyards of the famous Paarl-Franschhoek valley, Val de Vie is one of the most spectacular polo estates in the world. 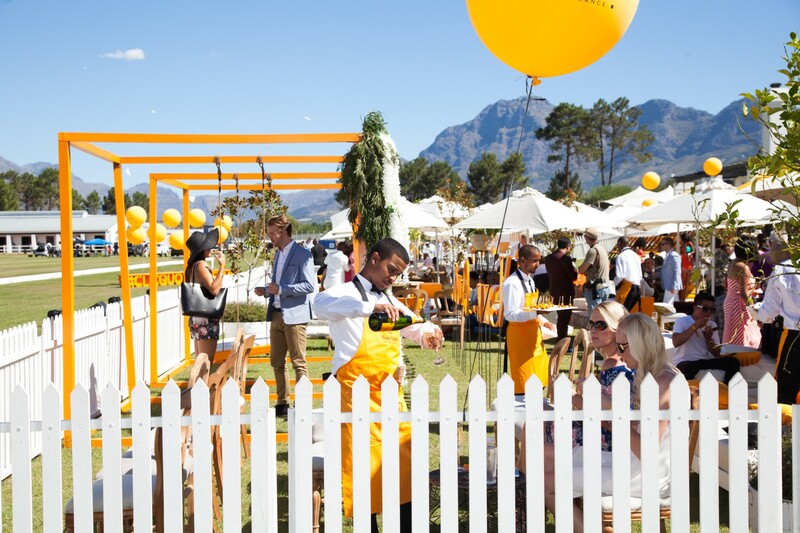 Their passion for the sport has transformed this scenic estate into an unrivalled polo destination. 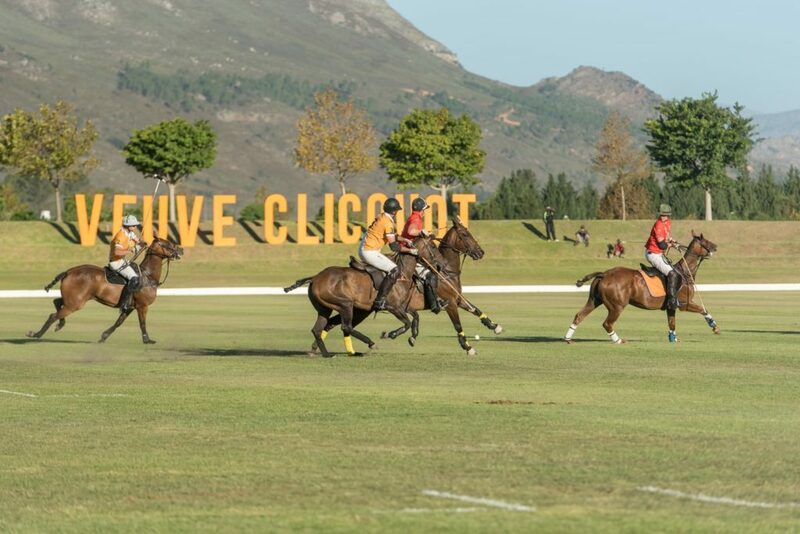 Talented local and international players captivated and entertained fans with a fast-paced game as Team Jaeger-LeCoultre dominated with a 6.5 to 1 victory against Eva-last. 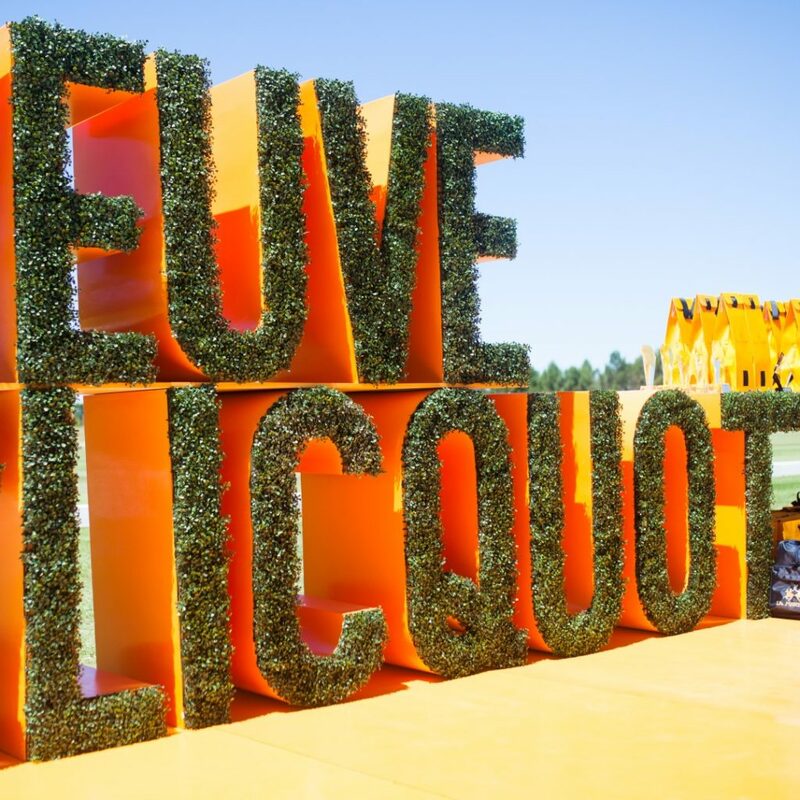 Half a goal was given to Jaeger-LeCoultre on handicap. 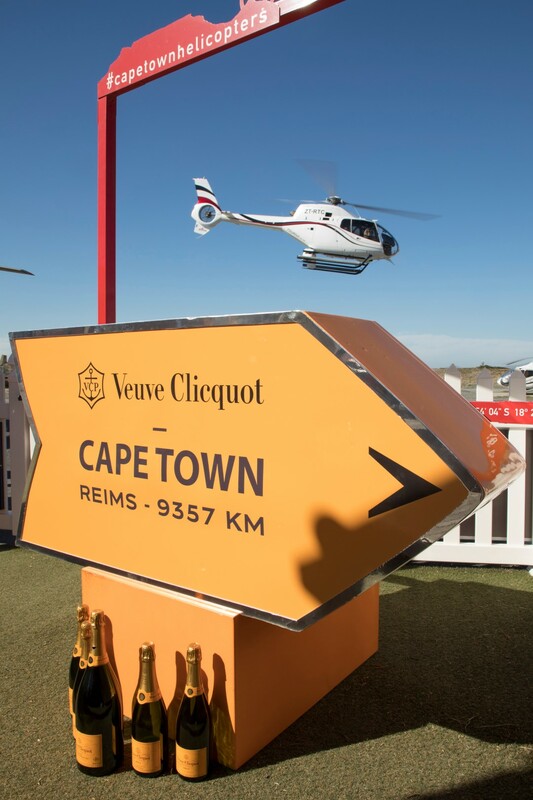 The main match featured top South African national players Tom de Bruin, Le Roux Hendriks and Jabulani Khanyile. 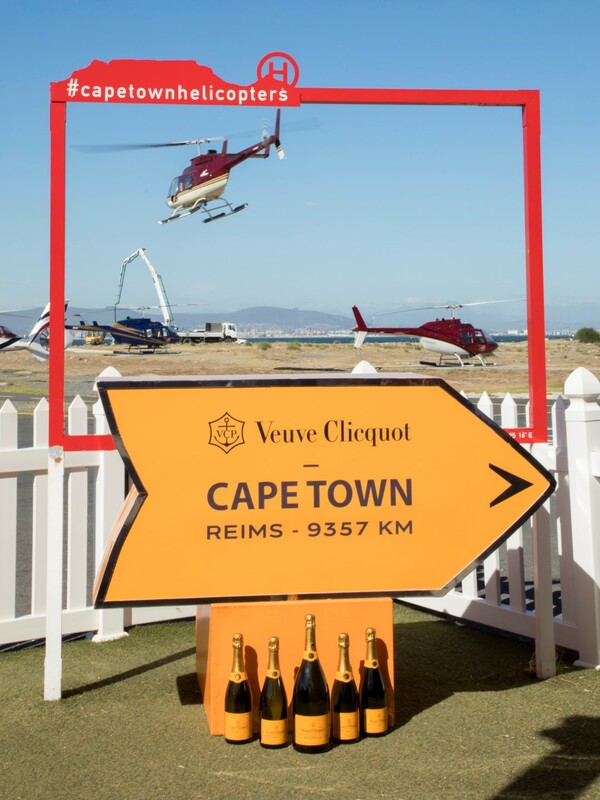 With a burst of energy in the last minute, Team Vodacom took the main match against Team Veuve Clicquot with a final score of 10 to 9. 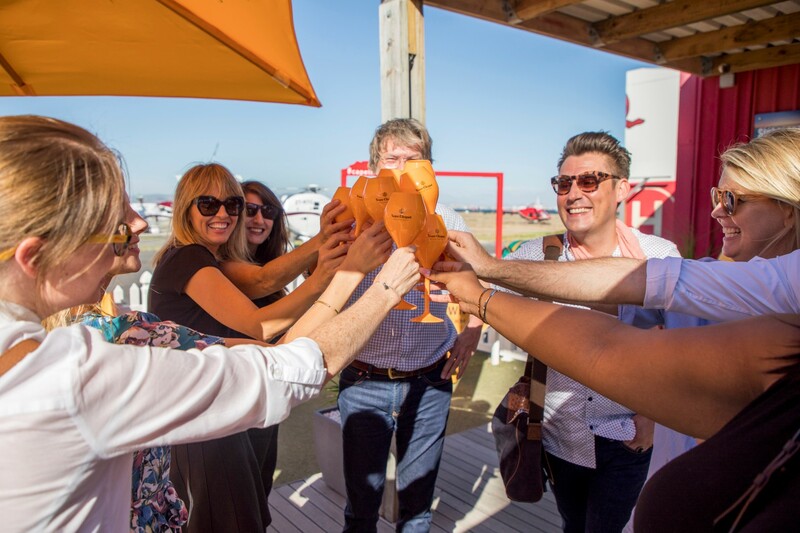 On the day, Aki van Andel was named the Most Valuable Player and Milo, owned and played by Shaun Brokensha, recognised as the day’s Best Playing Pony. 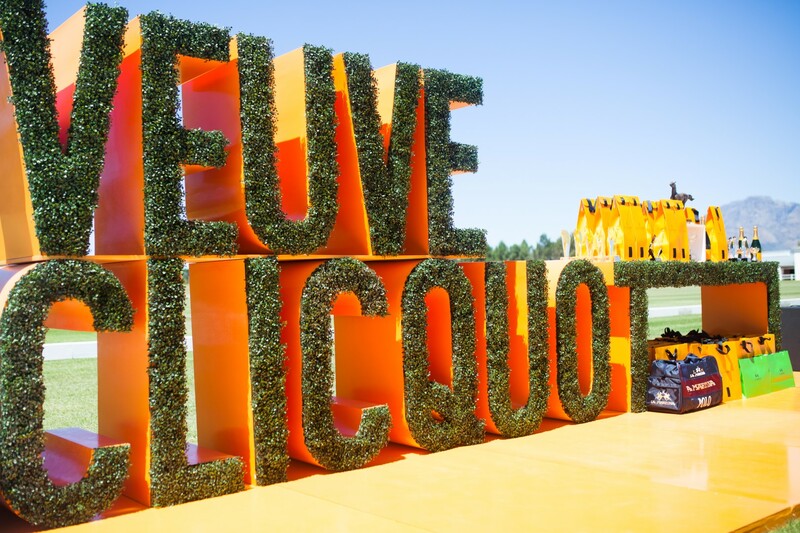 After an action-packed day of polo, the day ended in a surprise moment which saw guests celebrating Veuve Clicquot Rosé’s 200 Year Anniversary with a 6-tier pink and silver custom-designed cake and a last toast to #ClicquotintheSun.